Date: Sep 7 2018, 12 a.m. - Oct 22 2018, 11:59 p.m.
Are you looking for a child-friendly craft project this fall season? Here is your chance to show off your creative skills! 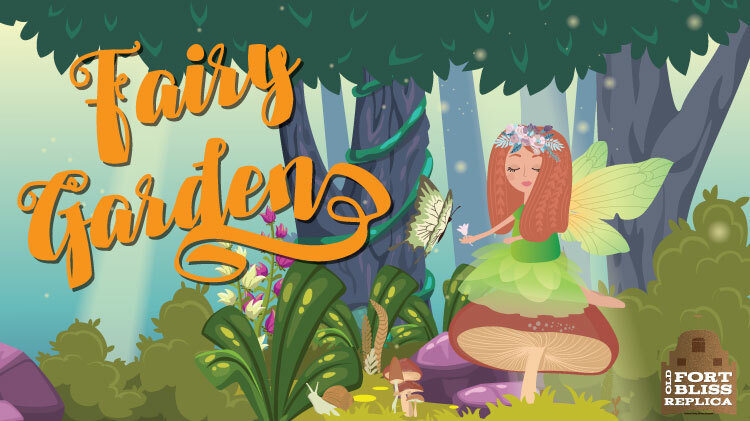 Create a Fairy Garden and bring it to the Old Fort Bliss Replica by no later than October 22nd. Gardens can be created from any container that can be easily transported and set up for display. Think of jars, boxes, logs, baskets, plates, lanterns....So, get creative, and make it magic! All garden creations will be displayed during the Halloween Harvest Festival on October 26th & 27th at the Old Fort Bliss Replica Center. For more information, call 915-588-8482.